What Has Happened To The Middle Class? R.J. Rushdoony: 00:01 What has happened to the middle class? This is R.J. Rushdoony with a report on our threatened freedom. Historically, the United States has been the great country of the middle class. The extremes of wealth and poverty have been less prevalent here and the great majority of Americans have been in the middle class, neither rich nor poor, but stable, responsible and public spirited. 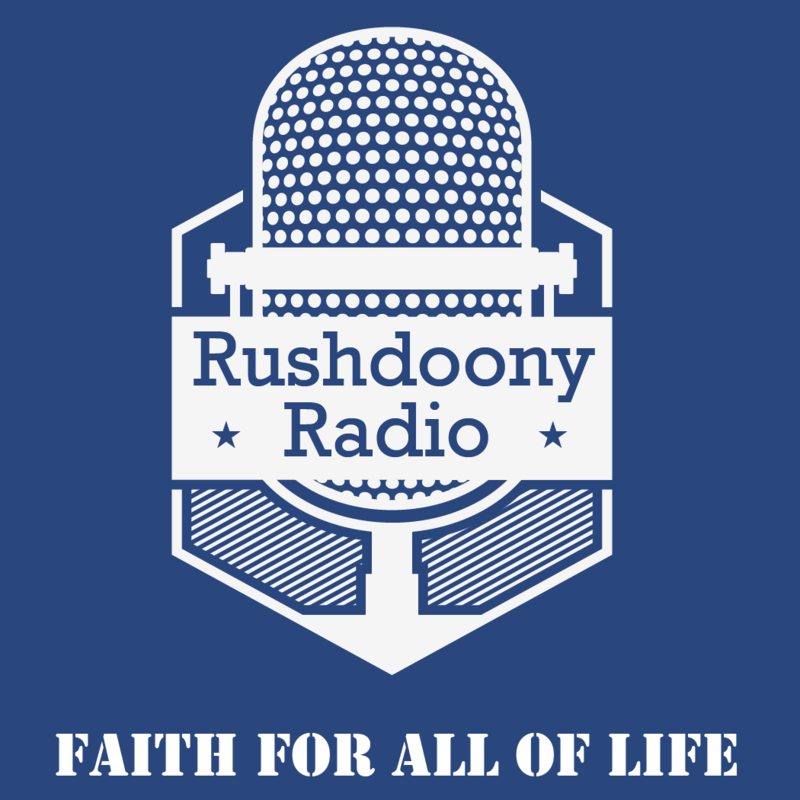 R.J. Rushdoony: 00:27 These middle class families have been the mainstay of churches, charitable causes, political action and social responsibilities. It has been their social and religious concerns, which have been largely responsible for what America is. Today that picture is changing because of inflation. The middle class is being wiped out, step by step. In order to make ends meat and to avoid falling below the poverty line or coming close to it, in about 24 million marriages it is necessary for both husband and wife to work. Most of this is not career work, on the part of women, it is necessary work to survive. It does create problems. As one young woman said, “We cannot afford either a house or a child unless I work and if I work, keeping a house and having a baby becomes more difficult.” This is not all. R.J. Rushdoony: 01:27 With the present cost of housing and the high rate of interest, even with both husband and wife working, a house is beyond their reach. In many areas all over the United States, the monthly payments on even a modest house are now $800 or more a month. Not many young couples can afford that, plus taxes and insurance. Inflation is the guilty party in this situation and inflation is a product of federal spending and the federally controlled increase of the money supply. During the years 1976 to 1980, the money supply increased by over $220 billion. This is more than one fourth of the total since 1933. Inflation, thus has begun to gallop. The result is that all of us have been hurt. Our real income is less and we are less and less able to make ends meat. R.J. Rushdoony: 02:32 We have been a middle class country and the middle class is now close to disaster. Some economists have predicted a 25% inflation for 1982. Unless all of us get an income increase next year of the same amount, then few of us will. We are in great trouble. In almost every case where people have been taken over by a tyrant state, by a dictatorship or by a fascist or a socialist regime, a severe inflation preceded the death of freedom. Inflation is the destruction of both economic and political freedom and inflation is our problem today. R.J. Rushdoony: 03:16 Unless we control and eliminate inflation, we ourselves will be a controlled people and freedom will be eliminated. The inflation rate can be compared to a [inaudible 00:03:31]. As the inflation rate goes up, freedom diminishes and begins to die. This has been R.J. Rushdoony with a report on our threatened freedom.